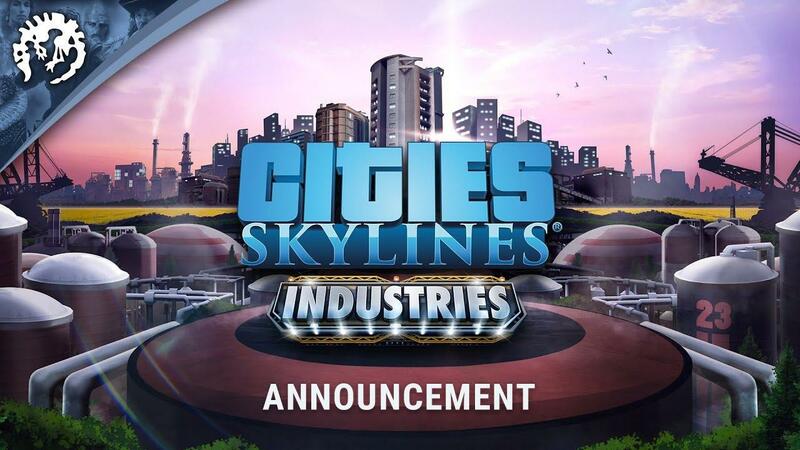 Paradox have announced the Cities: Skylines - Industries expansion due for release on October 23rd and as usual the DLC will work fine on Linux. So now you can make everything look glorious with the Green Cities expansion and then destroy all that hard work with a ton of new industry options. In addition, a free update will also be releasing which will introduce toll booths to slow traffic and generate income, along with the ability to mark buildings as "historical" to preserve their style. You will also get the ability to create custom name lists for citizens, districts and spawned buildings. Additionally, a new "Synthetic Dawn" radio station will be available which is probably an additional purchase. For those who like to pre-order (not that we suggest doing so), it's up on the Paradox Store. It also has a Steam page up ready. This is great. I just got hooked on this game again. Awesome! This is already the best ever city builder, and they keep making it better. People keep bashing Paradox for the abundant DLC releases, but the result is a game that grows for years, instead of devs releasing a new game with minor new features for full price, EA-style. Kimyrielle Awesome! This is already the best ever city builder, and they keep making it better. People keep bashing Paradox for the abundant DLC releases, but the result is a game that grows for years, instead of devs releasing a new game with minor new features for full price, EA-style. Exactly. As a fan of Stellaris much more than previous Paradox games as a space nerd, i couldn't be happier. I just wish Paradox would restructure how they sell their DLCs. Something like once they have over 5 DLCs that are 3 years+ old they bundle it into a "single DLC Pack" which then sells at a price slightly higher than 1 DLC. They'll still get the premium for newer DLCs but it just makes it easier and in my opinion easier to buy the whole lot. thelimeydragon I just wish Paradox would restructure how they sell their DLCs. They will probably do that eventually. They do it for most of their games. In the meantime, you can pick up the older DLC for dirt cheap during Steam sales. It will be the moment for me to build another city, like I do for each DLC of this excellent game. Can all of the dlcs be enabled in one game? Maelrane Can all of the dlcs be enabled in one game? Yes. Slight exception might be Snowfall, because you can only play in always winter mode or no winter at all. Other stuff like trams from that DLC is available everywhere, though. Anyone know if they ever did any performance updates (especially Linux/OpenGL)? Love the game, but it really chugs when getting into larger sized cities. If I recall they were on an older engine version that had poor OpenGL optimizations. With the recent release of their Stellaris on GOG, is there any chance to see this game (and others) on it too?